I want to welcome you to our website for Faith Chapel General Baptist Church. It is my hope that by visiting us on the web that you will visit one of our services soon. As you browse through our pages you’ll see the wonderful activities we are involved in and the special events we have coming up. You’ll also get to know us personally and we hope that you will give us the opportunity to show you how much we would appreciate you joining our congregation. I want to tell you just how wonderful our church is. We have some of the friendliest people that attend Faith Chapel; many have been faithful members for years, some are charter members. We will do everything we can to make you feel welcome and to assist you in finding something you would like to be involved in. We have many activities that we need volunteers, as well as social events for all ages. Our church is growing too, we have recently completed the building of our new Family Life Center. It is our vision to involve the community in our church so that we may witness to them the love of Jesus Christ and the story of the Gospel. Thank you again for taking the time to read “From the Pastor’s Desk” and we look forward to seeing you in the future. I believe your visit would prove to be a blessing to not only you, but for us. Rev. Donald Ray Davis was born on March 20, 1940 in Edmonson County, and he is one of six children, 3 brothers and 2 sisters. His father Rev. 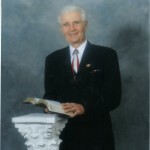 Hillard Davis was also a minister. During these years Rev. 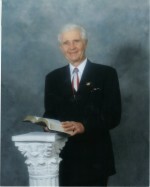 Davis has also served as Evangelist in numerous revivals seeing many give their hearts to Christ. Rev. Davis has retired from General Electric in Louisville, KY after 33 years of perfect attendance. He has been married to his wife Sue for over 50 years. They have two sons, Perry and Chad, who are both married and they have 3 grandchildren. Rev. Davis’ greatest desire is to see the lost saved and to help those in need.